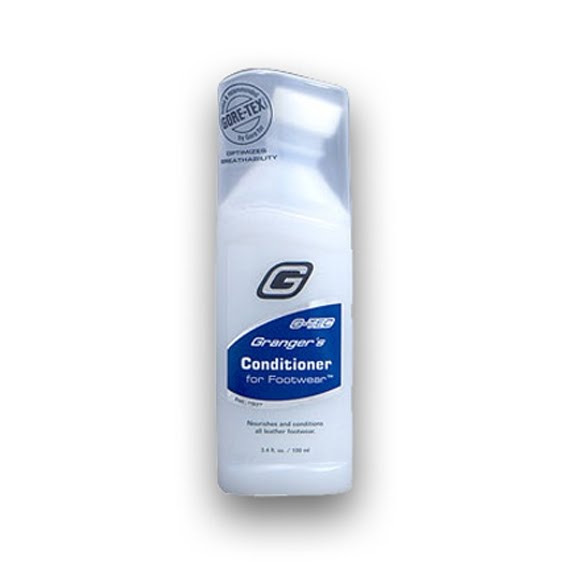 G-Tec Conditioner nourishes and conditions all leather. It preserves the supple nature of the leather, thus extending the life of the footwear. Conditioner for Footwear softens the leather just enough to help break in new boots. It is compatible with Gore-Tex and all other waterproof / breathable footwear. It is the only conditioner in North America to carry the W.L. Gore seal of approval. G-Tec Conditioner nourishes and conditions all leather. It preserves the supple nature of the leather, thus extending the life of the footwear. Conditioner for Footwear softens the leather just enough to help break in new boots. It is compatible with Gore-Tex and all other waterproof / breathable footwear. It is the only conditioner in North America to carry the W.L. Gore seal of approval. Guaranteed not to impair the breathable characteristic and keeps the leather in optimal condition.